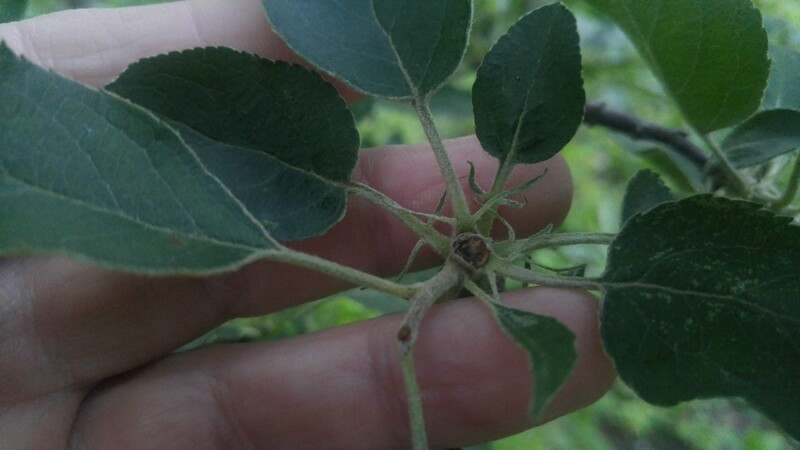 To reduce excess fruit, apple trees form an abscission layer that keeps nutrients from reaching the developing fruit. Earlier this week I was filling up a plant container with growing mix that I had saved from last fall. The mix was stored in a few open trash cans inside the barn. Using an antique coal shovel, I was able to make good filling transferring the potting soil to the planters. 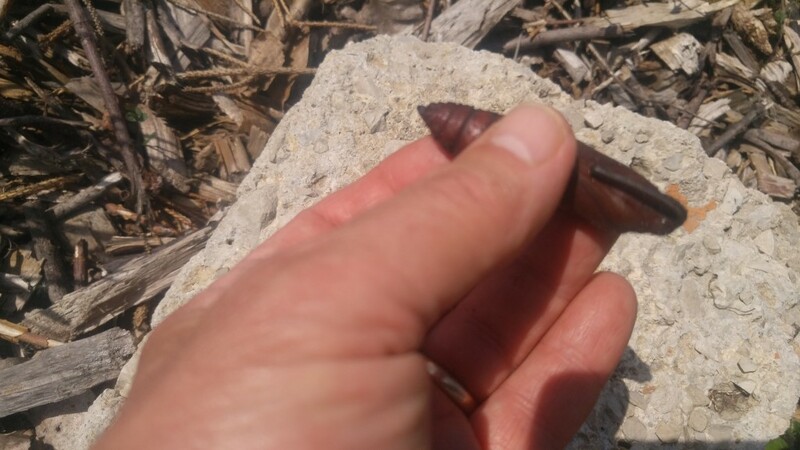 I noticed in one trash can, lying there in the soil mix, was a brown, leathery looking cigar-shaped thing. Looking closer I could see it was a large insect pupa, that of a sphinx moth. A sphinx moth is the adult stage of the tomato horn worm, those big, ugly, destructive caterpillars we often see chomping away on our tomato plants during the summer. 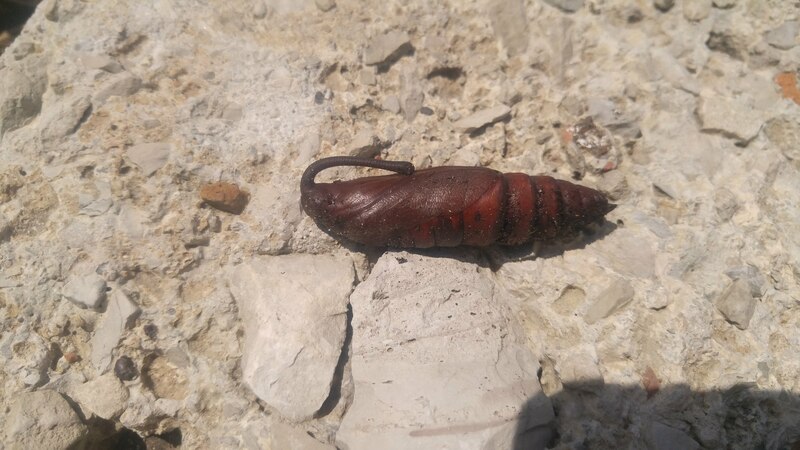 A sphinx moth pupa is quite large but not often seen. Sphinx moths are one of those species that overwinter as pupae. As autumn approaches, the huge hornworm caterpillars leave the plant and burrow into the soil to morph into a pupa. Although hornworms are abundant, finding a pupa is relatively rare. That’s because they burrow so deeply. Most rotary tillers only till to the depth of six or seven inches or so. A gardener with a spade may work the soil as deep as eight inches. The hornworm tunnel down to at least a foot, well under the disturbed topsoil layer. The “jug handle” structure contains what later will be the moth’s tongue. The caterpillar that formed the pupa that I found came from one of two places, it either traveled from the garden and crawled up the side of the trash can into the mix, which is highly unlikely. Or, I missed it when I was emptying the deep planters last fall, which is probably what happened. One of the planters did have a couple of tomato plants in it, that would explain why the hornworm was there in the first place. We have a love-hate relationship with these insects. 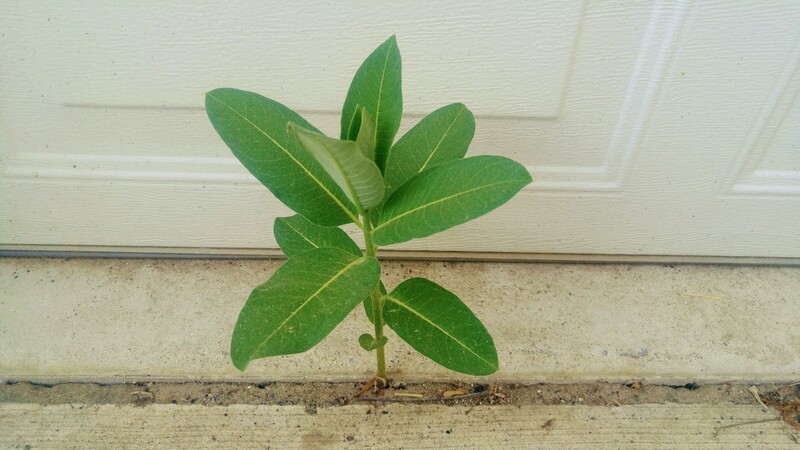 During their caterpillar stage they can be quite destructive, defoliating entire plants sometimes. As an adult however, they are fascinating. They don’t have much color but they are quite large and at first glance are often mistaken for a humming bird. They act like a hummingbird too as they hover over flower blossoms gathering nectar.